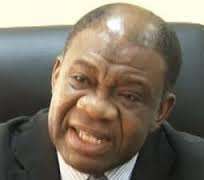 Minister of Power Prof. Chinedu Nebo, said yesterday that the Federal Government would complete the payment of severance allowance of Power Holding Company of Nigeria (PHCN) workers before the end of this month. Nebo spoke at the thanksgiving service of Nsukka Anglican Diocese marking the end of its 2013 Synod in Nsukka. He said that government was working round the clock to ensure that all authenticated PHCN staff received their severance allowance so as to end any form of protest from those involved. 'Government is working hard to ensure that all staff of PHCN are settled before the end of October. For now what government has given the companies that acquired PCNC are licenses and share certificates. 'The physical hander over of PHCN will take place in some weeks to come,'' he said. The minister said that the administration of President Goodluck Jonathan had invested much and was committed to ensure that Nigerians enjoyed steady power supply. 'By God's special grace by the next six months there will be double in the country's generation capacity and by the end of 2014 the amount of megawatts generated will be fully transmitted. 'I must tell Nigerians that there are better days ahead as the country will witness great improvement in power the sector,'' he said. On slow pace of work at Nru NIPP project Nsukka, the minister urged the people of Nsukka to write to enable him know the level that the work had gone so that he could communicate with those in charge of the project.